A settlement was recently approved on behalf of the estate of a 50 year-old man who died from complications of medical malpractice. The decedent suffered from ankylosing spondylitis, an inflammatory condition of the spine. After falling at work and complaining of severe back pain, he was transported to a suburban Chicago hospital. A series of x-rays were performed and interpreted as normal. The decedent remained hospitalized for several days, with continued complaints of back pain. Pain medication and physical therapy were unsuccessful at relieving his symptoms. He was eventually transferred to a second hospital, where additional x-rays revealed an unstable fracture in his lower spine. While awaiting transfer another hospital for spine surgery, the decedent lost sensation and the ability to move his legs. Despite the eventual spinal surgery, the decedent suffered a permanent loss of strength and sensation in his lower extremities. Approximately two years later, he died of complications relating to his disability. The decedent was survived by two adult brothers. 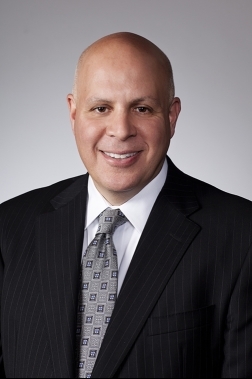 Thomas G. Siracusa, of the Chicago personal injury law firm of Power Rogers & Smith, L.L.P. filed a lawsuit on behalf of the Plaintiff. Plaintiff sued a radiologist at the first hospital alleging a misinterpretation of the x-ray findings. Plaintiff presented evidence that the x-rays of decedent’s lower spine revealed an abnormality, which required further investigation. The delayed diagnosis of the spinal fracture contributed to decedent’s permanent injury. Plaintiff also sued the second hospital, alleging that its nurses failed to follow physician’s orders and institute a proper immobilization protocol after the spinal fractured was diagnosed. Plaintiff presented testimony that patient movement contributed to the instability of the unstable spinal fracture and resulted in a poor neurologic outcome. The recent settlement was approved by the Circuit Court of Cook County Law and Probate Divisions. Mother Sues City of Chicago Over Son's Death in Crash, Represented by Attorney Larry R. Rogers, Jr.